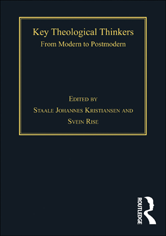 Each individual portrait in this anthology includes a biographical introduction, an overview of theological or philosophical writing, presentation of key thoughts, and contextual placing of the thinker within 20th Century religious discourse. Overview articles explore postmodern theology, radical orthodoxy, ecumenical theology, feminist theology, and liberation theology. A final section includes portraits of important thinkers who have influenced Christian thought from other fields, not least from Continental philosophy and literature.